EghtesadOnline: Novak Djokovic claimed a record seventh Australian Open crown in devastating style on Sunday as he condemned Rafa Nadal to the most stinging defeat in their long Grand Slam rivalry. 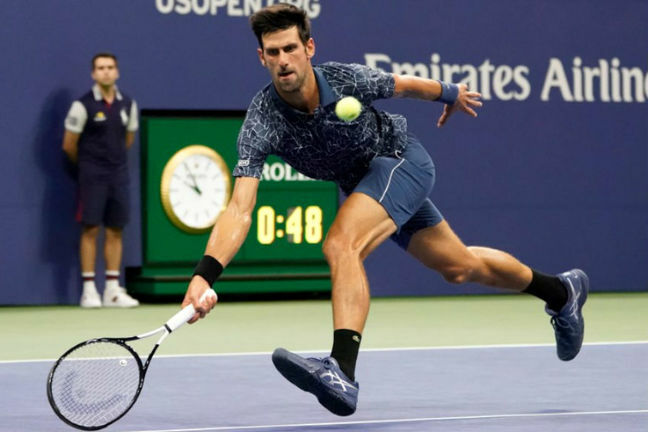 Moving past Pete Sampras into outright third on the all-time list of Grand Slam winners, Djokovic will head to Roland Garros looking for a second “Nole Slam”, having already swept all four majors in 2015-16, Reuters reported. Nadal’s remodeled serve was clinically dismantled, and he punched his racket strings in frustration after giving up two break points in the fourth game of the second. Firing a forehand down the line to bring up two championship points, he converted the second when Nadal struck a backhand long, and the Serb’s reign over Melbourne was restored with a thunderous chorus of Serbian cheers.